Come spend Friday in the Park with Avo! Avocado Dance Theatre will dance in a minuscule landscape, presenting a glimpse of their new work in a metered parking space in Riverside, as part of the worldwide annual event, called PARK(ing) Day. This unique performance is an opportunity to create — more public space…to live, to breathe, to dance! Avocado Dance Theatre will perform as part of the HOMEGROWN @DANCE ALL DAY festival on the Lula Washington outdoor stage at 3773 Crenshaw Blvd. between 4:30 and 6:00PM. Come see one of the most dynamic works in our repertory at its very best. 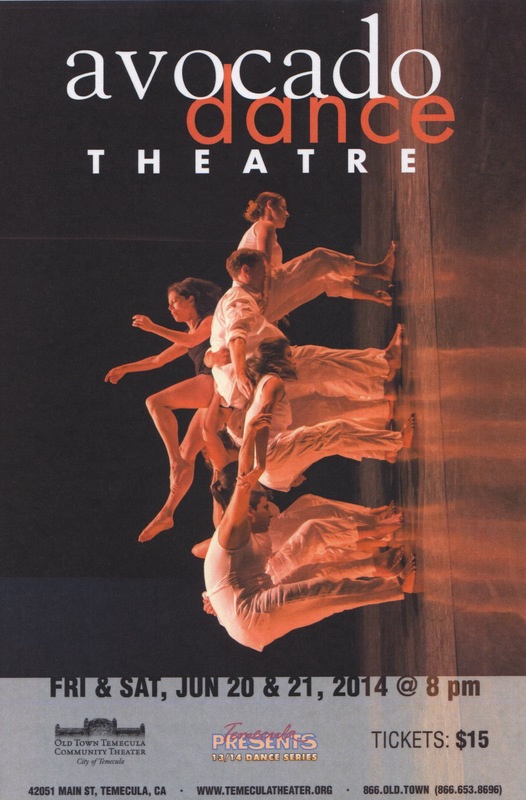 “Spheres,” is choreographed by Lori Craig Torok and danced by Kristin Brown, Amanda Rose Shind, Joseph Lister, William Feldon, and Shauna Tyser. AVOCADO DANCE THEATRE’s home season concert is a journey of heart and soul through dance. Original work, of multi-media creations fill the space with artistry of multi-dimensional proportions. 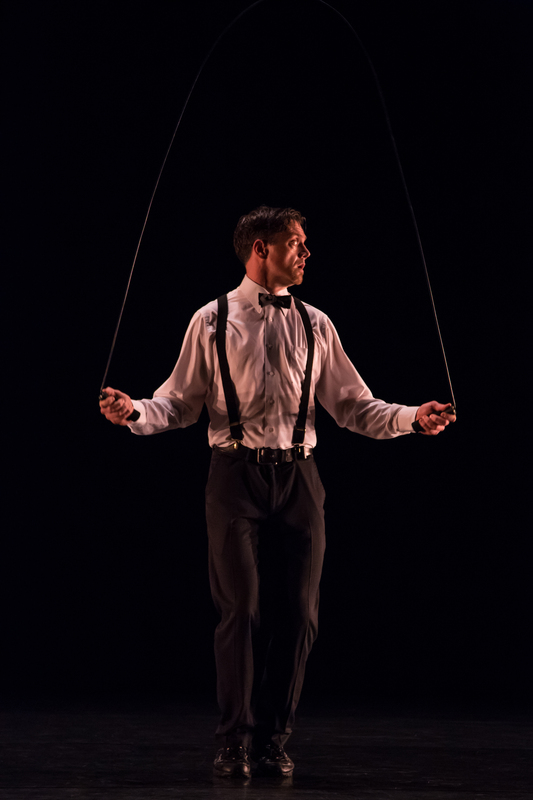 Come experience AVOCADO DANCE THEATRE for yourself; you’ll be glad you did! A special free performance, as part of Front & Main Dance Festival, Temecula 2016! Avocado Dance Theatre presents new work by guest choreographers Tennille Lambert, Aaron Shaw, and Chad Ortiz. This concert includes the world premiere of “On the Corner of Stream & Consciousness,” by Lori Craig Torok in their home season at Old Town Temecula Community Theater. 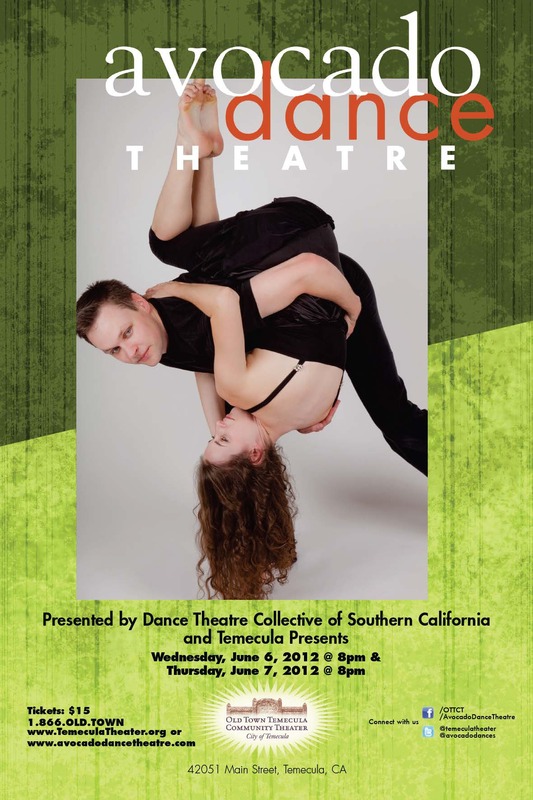 Avocado Dance Theatre will present a sneak peek at their upcoming home season at danceXchange at Old Town Temecula Community Theater. Avocado Dance Theatre performs at the SoCal Dance Invitational (Huntington Beach, California) February 1, 2014. Avocado Dance Theatre celebrates Autumn with an outdoor concert in the courtyard at Old Town Temecula Community Theater. This is our second annual outdoor fund/friend-raiser. 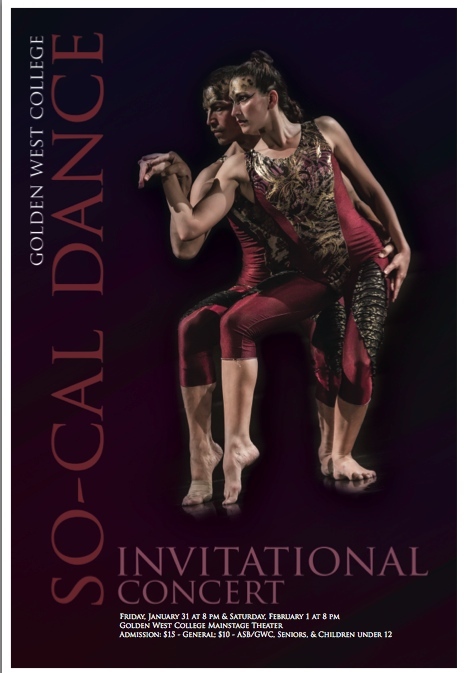 Refreshments, drinks, games, a silent auction, and performances by Avocado Dance Theatre are a just some of the highlights of this exciting and elegant evening of dance. Proceeds for this evening’s ticket sales benefit Boys & Girls Club of Southwest County. Show your Avocado Green support for your local community-based modern dance company and the children of the community! The company will premier their new piece, “Relevé” (A Reiki Blessing for the Earth). an improvisational piece by Val Carnahan (famous for her works using cardboard and newspaper). 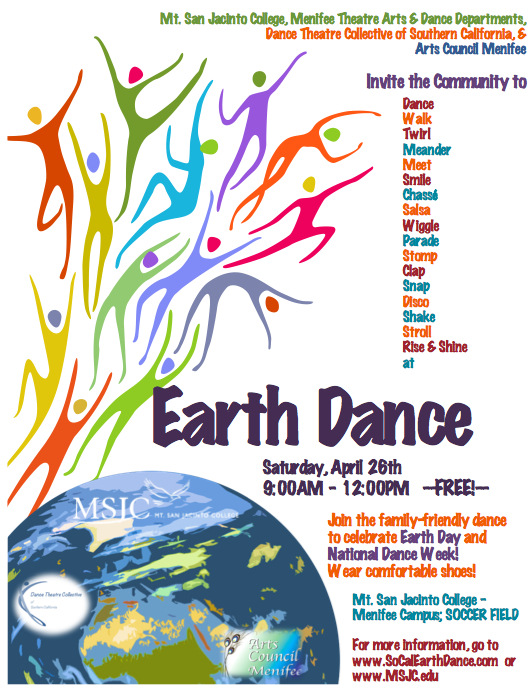 Avocado Dance Theatre: Saving the Earth, one dance at a time! 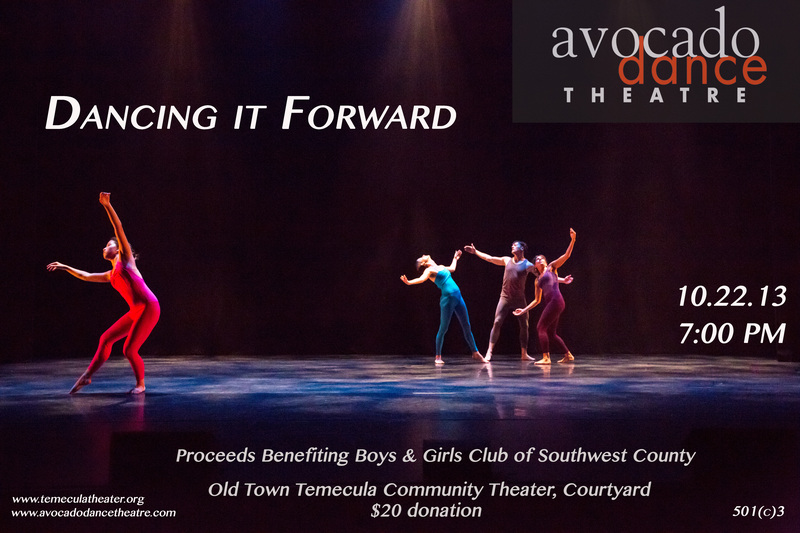 AVOCADO DANCE THEATRE hosts its first community fund/friend-raiser! Please join us for the outdoor performance, fun, and refreshments on AUGUST 8th at the Old Town Temecula Community Theater–in the courtyard! Elegance meets Fun…AVOCADO… GOES GREEN! 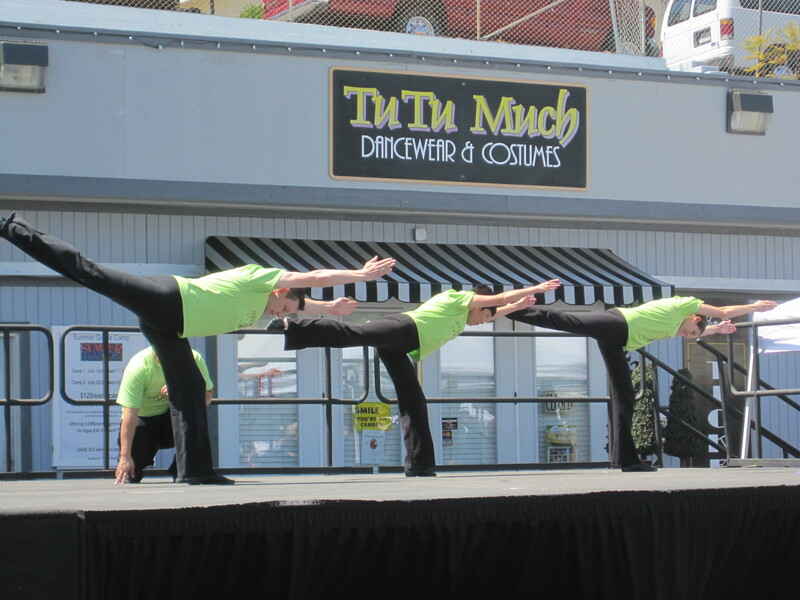 Avocado Dance Theatre will perform at the Fallbrook Avocado Festival, Community Stage from 1:30-2:00 PM. FREE! 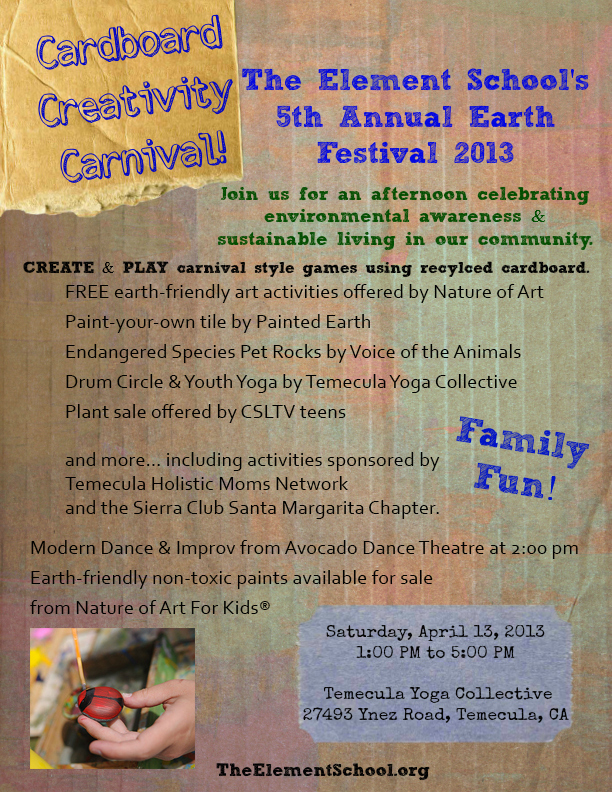 Come celebrate AVOCADO with us!! !